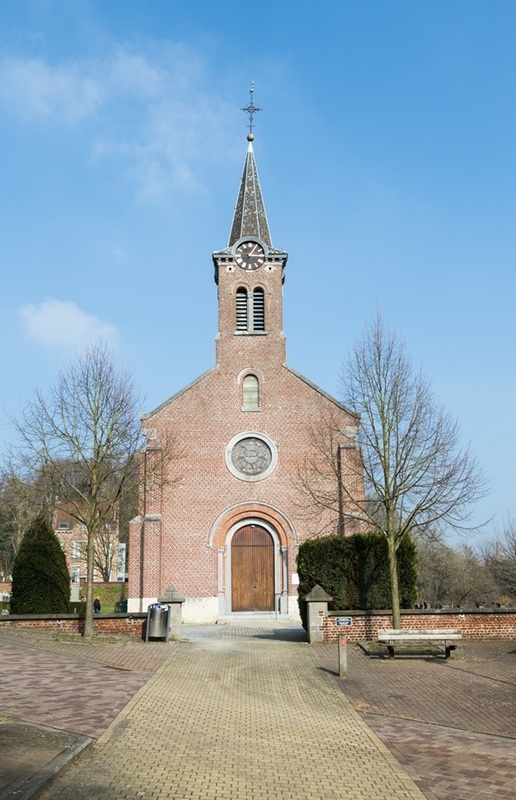 Overijse, a village and commune 17 kilometres south-east of Brussels, lies astride the main Brussels-Namur road. The hamlet of Tombeek is on this main road, 3 kilometres east of the village. The churchyard is 180 metres south of the main road, in the centre of the hamlet. The graves are at the far end, beyond and left of the church. 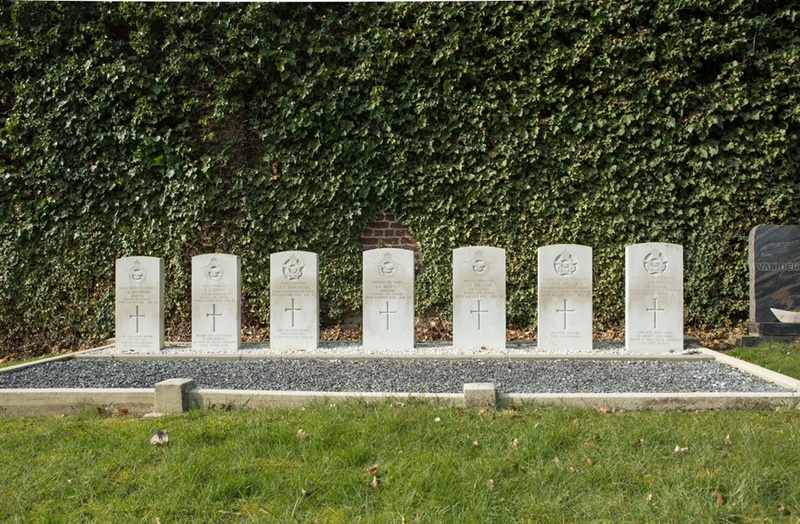 Overijse (Tombeek) Churchyard contains the graves of seven Commonwealth airmen of the Second World War. 28th August 1942, aged 24. Inscription "In gods house for evermore my dwelling-place shall be"
Son of James Edward and Grace Hope Marshall, of East Malvern, Victoria, Australia. 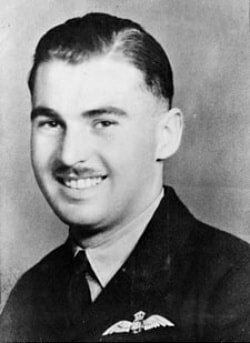 Studio portrait of 400813 Sergeant (Sgt) John Alexander Brock Marshall, of Malvern, Vic, No 78 Squadron, RAAF. 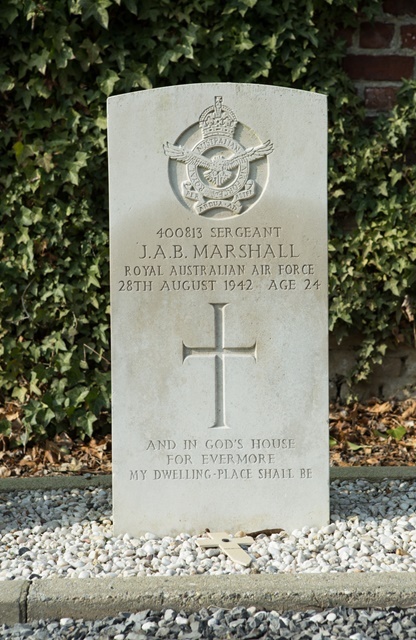 Sgt Marshall enlisted in Melbourne, Vic, on 8 November 1940, and was killed whilst on operations over Belgium on 28 August 1942. 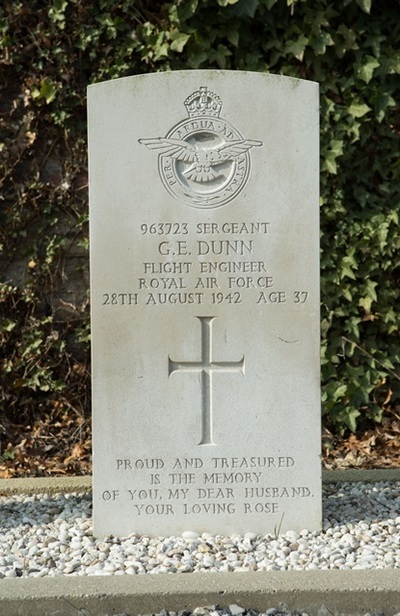 963723 Sergeant Flight Engineer George Edward Dunn, 78 Squadron, Royal Air Force Volunteer Reserve, died 28th August 1942, aged 37. Son of Ralph and Ada Dunn; husband of Rose Mary Dunn, of Tottenham, Middlesex. 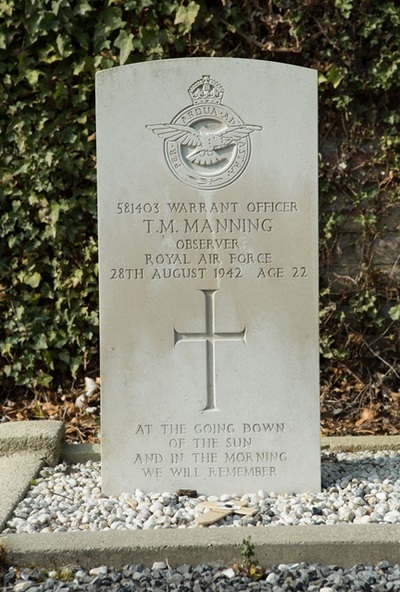 581403 Warrant Officer Terence Michael Manning, 78 Squadron, Royal Air Force, died 28th August 1942, aged 22. Son of Joseph Michael and Julia Manning; husband of Mary Jane Manning, of Coton, Leicestershire. 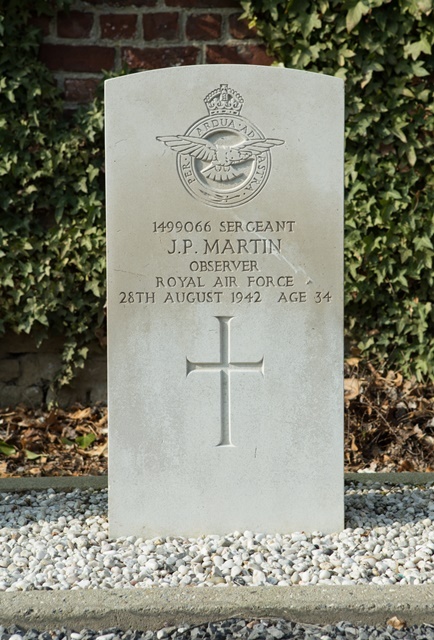 1499066 Sergeant Joseph Potton Martin, 78 Squadron, Royal Air Force Volunteer Reserve, died 28th August 1942, aged 34. Son of Arthur Henry and Mary Jane Martin; husband of Lydia Marion Martin, of Greenfield, Flintshire. 1008176 Sergeant Air Gunner John George Mellor, 78 Squadron, Royal Air Force Volunteer Reserve, died 28th August 1942, aged 20. Son of Benjamin Stanley Mellor and Eileen May Mellor, of Ardrossan, Ayrshire. R/72545 Flight Sergeant Wireless Operator/Air Gunner, Terrie Haggie Miller, 78 (R.A.F.) 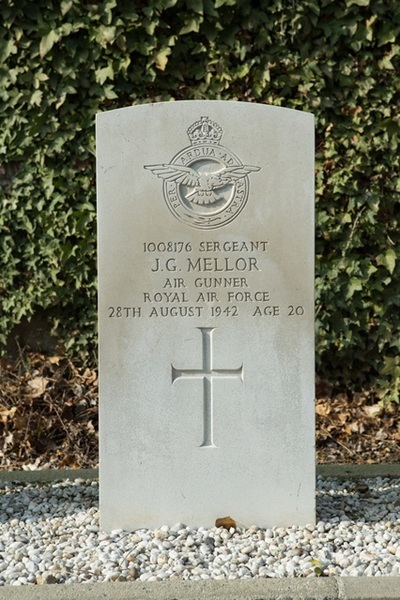 Sqdn, Royal Canadian Air Force, died 28th August 1942, aged 23. 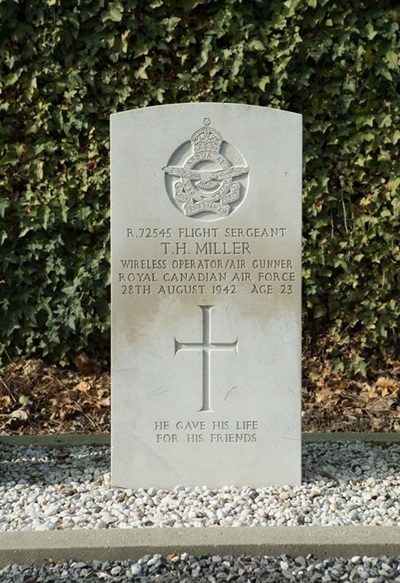 Son of John C. and Elizabeth Craig Miller, of Cornwall, Prince Edward Island, Canada. 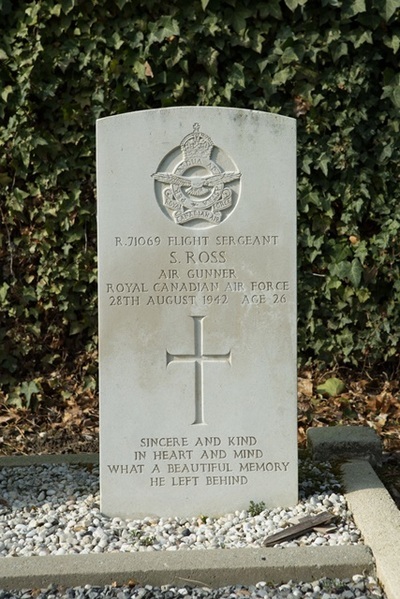 R/71069 Flight Sergeant Air Gunner, Samuel Ross, 78 (R.A.F.) Sqdn, Royal Canadian Air Force, died 28th August 1942, aged 26. Son of Andrew and Agnes Ross, of Winnipeg, Manitoba, Canada.